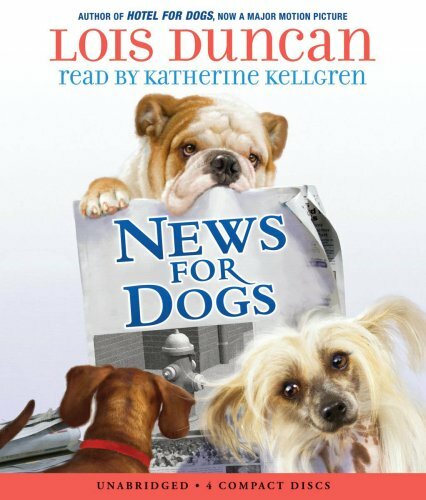 From beloved author Lois Duncan comes the sequel to HOTEL FOR DOGS -- a brand-new adventure with Andi, her brother Bruce, and their canine companions! Now that Andi is no longer running a hotel for dogs, she decides to start a new project -- a newspaper for dogs! With her brother Bruce and a few friends, the kids make a hit out of their paper. But they also attract the attention of some mysterious dognappers. Can the kids find the criminals and bring their dogs safely home? If you have any questions about this product by Brand: Scholastic Audio Books, contact us by completing and submitting the form below. If you are looking for a specif part number, please include it with your message.